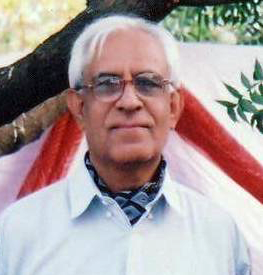 SURENDRA KUMAR SAGAR was born in 1941 and completed his graduation in Maths, Physics, and Statistics from Bombay University in 1959, and in 1964 he graduated in Civil Engineering from Thapar Institute of Engineering and Technology, Patiala. He has about 50 years experience in the design and construction of a vast variety of buildings and structures both in Industrial, and real estate sectors. This includes about 9 years in National Projects Construction Corporation Ltd, and about 26 years in Hindustan Steelworks Construction Limited. Currently since 1999, he is Technical Director (Design and Engineering), with Total Environment Building Systems Private Ltd, Bangalore. He is the Head of the Structural Dept, engaged in the structural design and detailing of the company`s projects, which include large number of tall structures. Recently the company won an international award, the prestigious “Bentley`s Be Inspired award“ for the year 2013 in the category “Innovations in Structural Engineering“. He is also an Advisor to all the Engineering, Construction, and HR departments of the company on matters relating to quality control, project planning, selection and training of engineering personnel of all levels, and plays a key Inspirational Role – through Philosophical talks – to ensure camaraderie and team spirit among the various leadership teams of all the Total Environment group of companies. Surendra Kumar Sagar has a deep interest in Science and Philosophy, including the philosophical impacts of Quantum Physics and Cosmology. In 2003, he attended a week long symposium on `Science and Beyond` held at the Institute of Advanced studies, Bangalore, where many of the greatest Scientists and philosophers were present. He is a prominent commenter on Huffington post, with his unique views on Science, Religion, and Philosophy. He is the author of the book “SIX WORDS“ published recently, wherein he has tried to integrate the works of some of the greatest Scientists and thinkers – past and present – into a cohesive progression, and by fusing Quantum physics with the psychology of the mind, has endeavored to develop a Standard model of philosophy, which he thinks stands a good chance of fusing Science with religion. In April 2014 he delivered an institute lecture at the Indian Institute of Technology, Roorkee on the subject `Standard Model of Philosophy`. “The technical aspects of thoroughbred horse racing including `Rating and Handicapping` “…he is a prominent `Guest Writer` at the premier Horse Racing website of India `www.indiarace.com` and has written several articles on the subject published in the said Guest writer column. He has done intensive study and analysis on the methodology of evaluating Time Form Rating of horses and many of the articles are on this subject. “Stocks and shares“… In 2008/2009 he Wrote an article on `The Sensex And The `Y` (Return on Investment) Factor`, wherein he predicted the future sensex values …Pessimistic Range, Fair Range, and Optimistic Range … for the next 15 years from April 2009 to April 2024 at annual intervals. The predicted Fair Value for April 2014 was `24350` …. And for April 2015 the predicted Fair Value was `27626`. Currently as on October 2014, the Sensex is hovering in the range 26000 – 27000. “Theory of numbers“… He wrote a paper (unpublished) on `Waring Limits` relating to Fermat`s theorem on Squares and Wilson`s theorems on Cubes and Fourth powers, wherein he arrived at a general expression for arriving at the Waring Limits for all powers. Sagar currently lives with his wife in Bangalore, India. They have two sons and three grand children.